In need of some pampering for yourself this time of year? 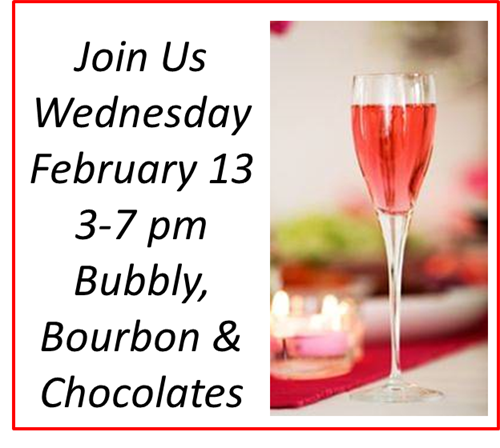 Come to Bliss and enjoy some Bubbly, Bourbon, Chocolates & our friendly staff on Wednesday, February 13th. You just might find something lovely and unique for your sweetheart and maybe something special just for YOU!